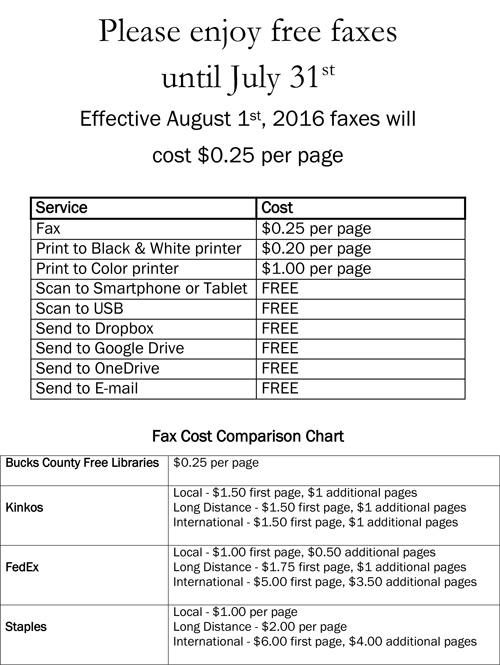 Effective August 1, faxes sent from document scan stations in our branches will cost $0.25 per page. The stations are free to use if you are scanning documents to a digital device, USB, DropBox, Google Drive, OneDrive or to email. Next Post: The Village is Open!